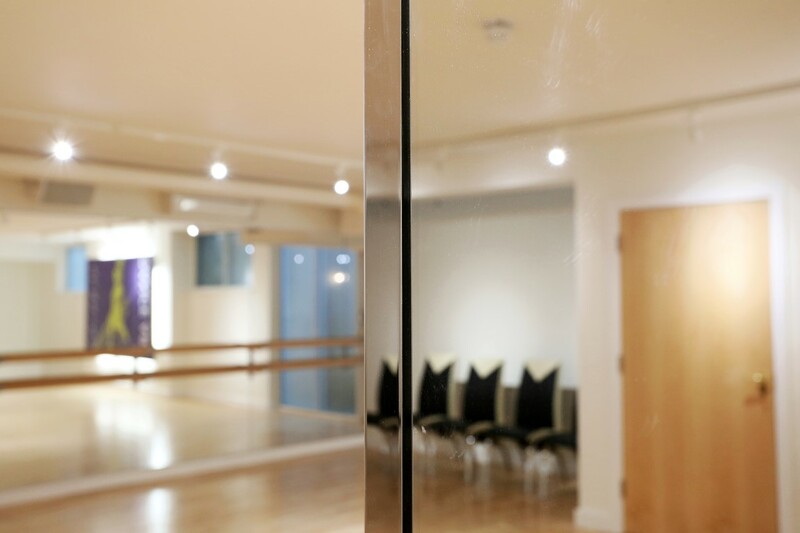 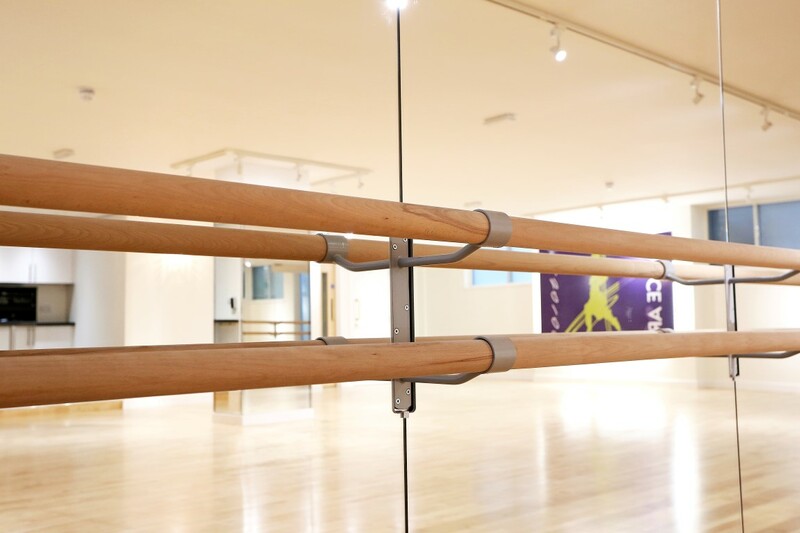 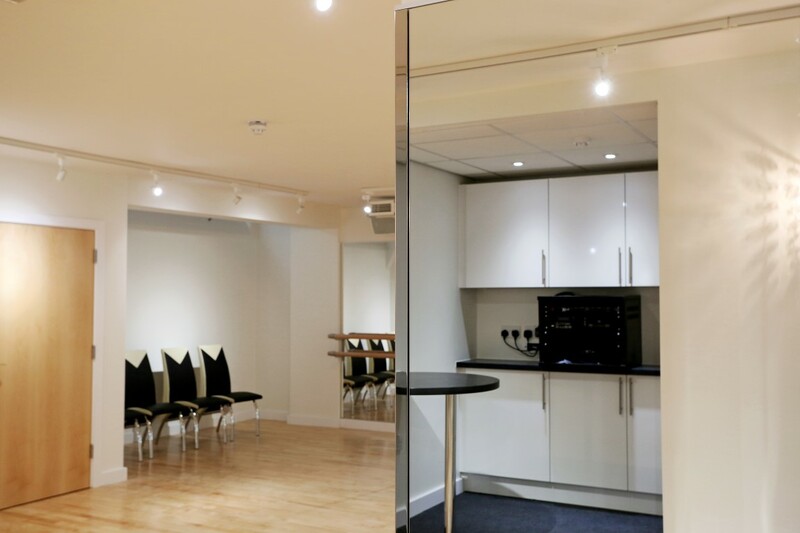 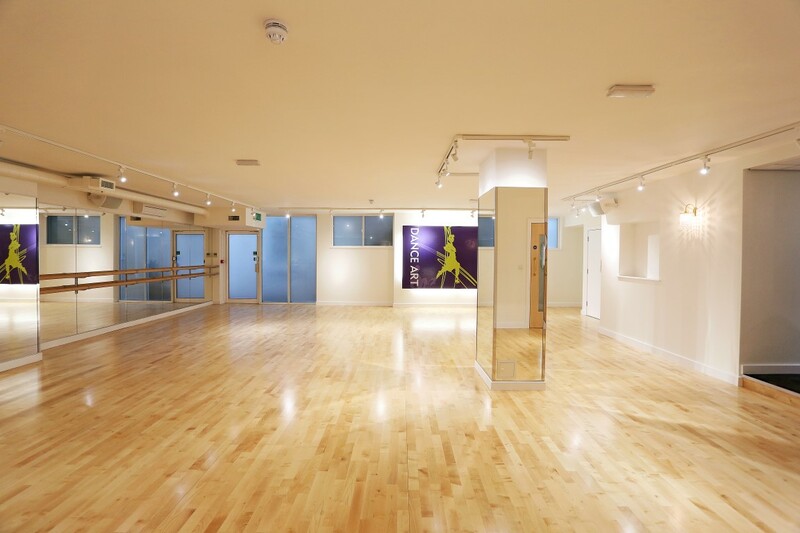 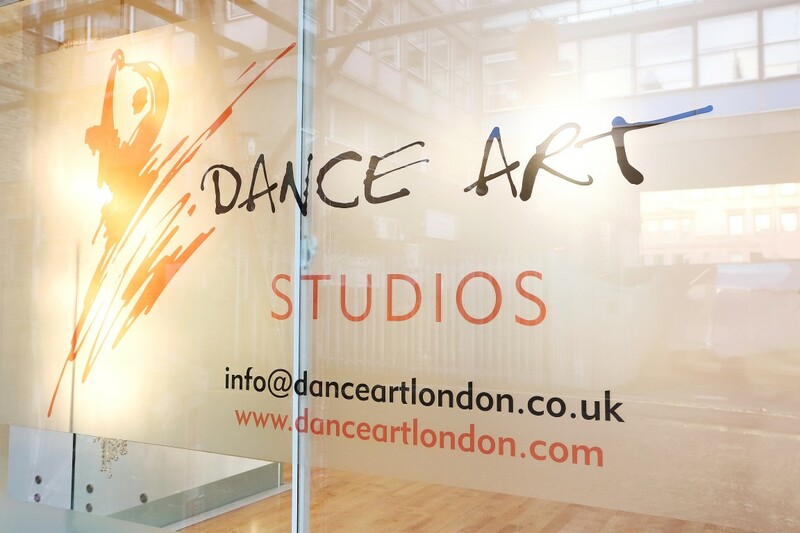 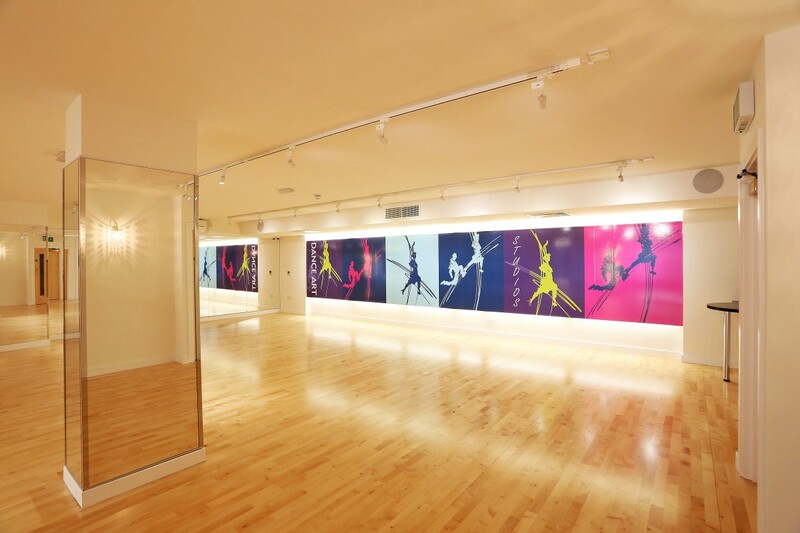 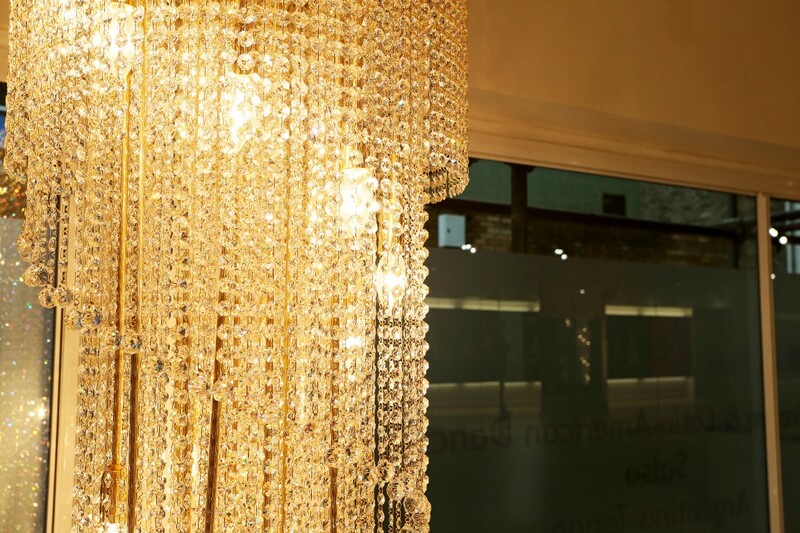 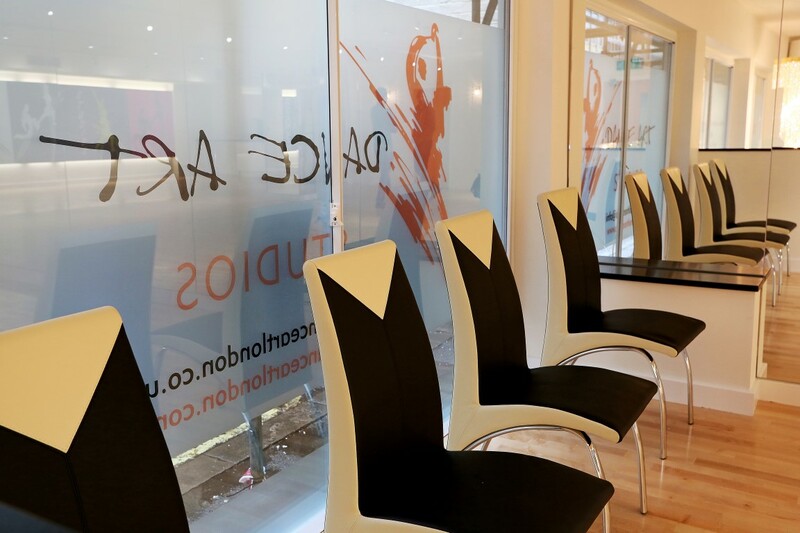 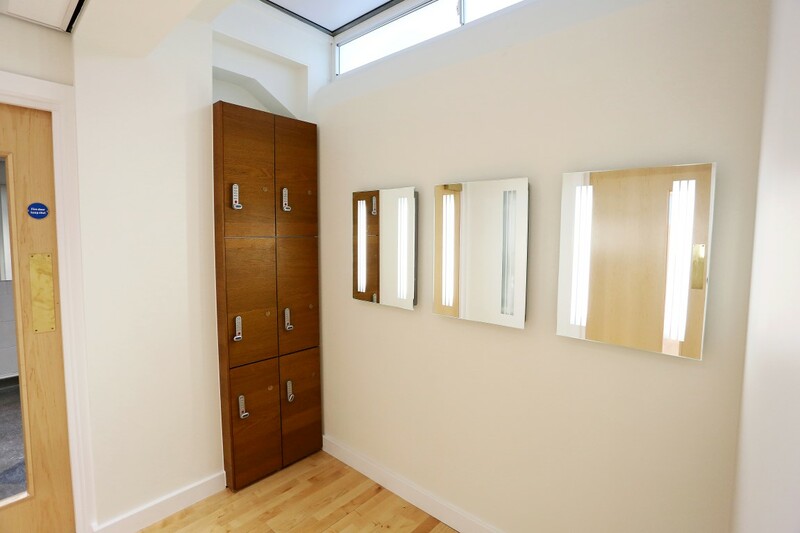 We did a complete refurbishment project for this dance studio in London. 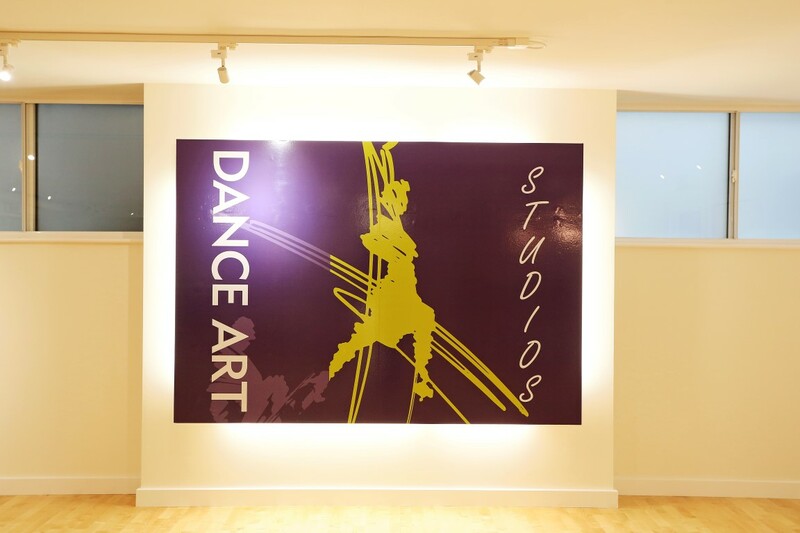 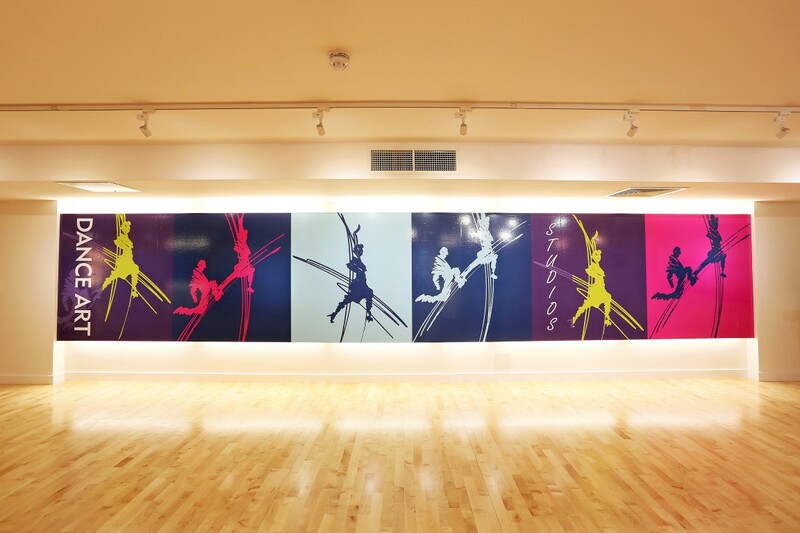 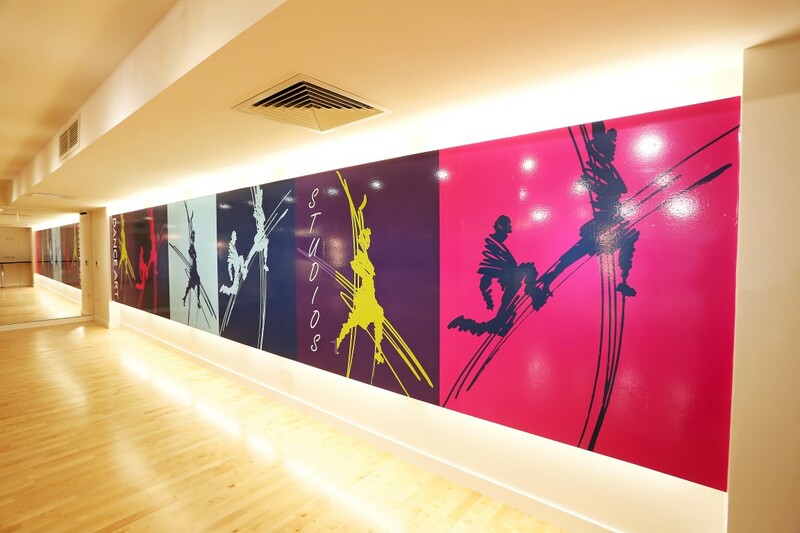 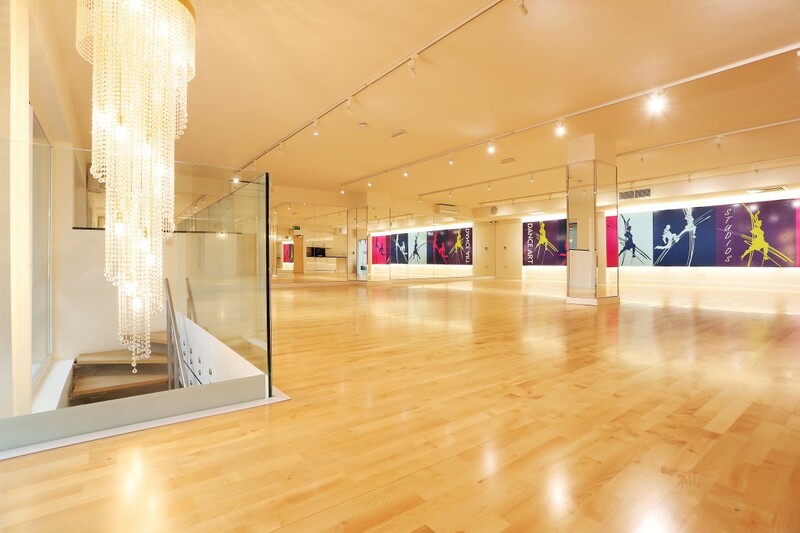 The upper floor holds the dance studio which needed specialist flooring installing as well as full length wall mirrors and large colourful graphics. 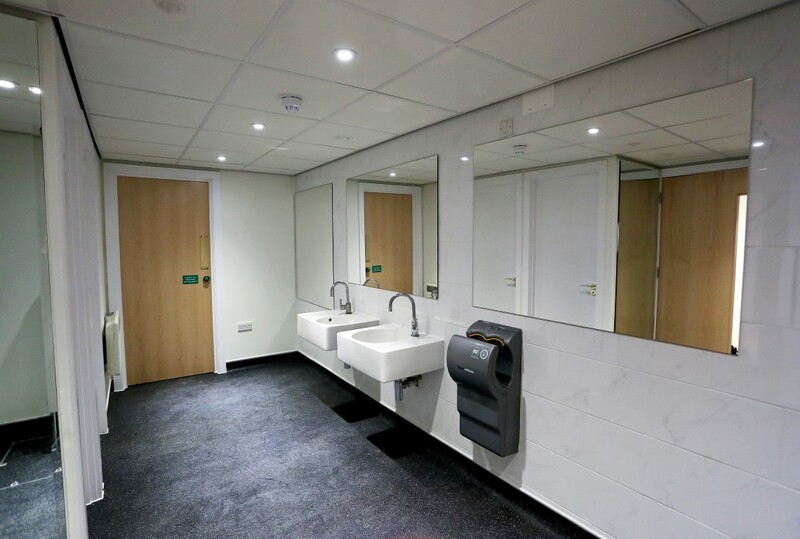 With such an open design everything had to be finished to a very high standard. 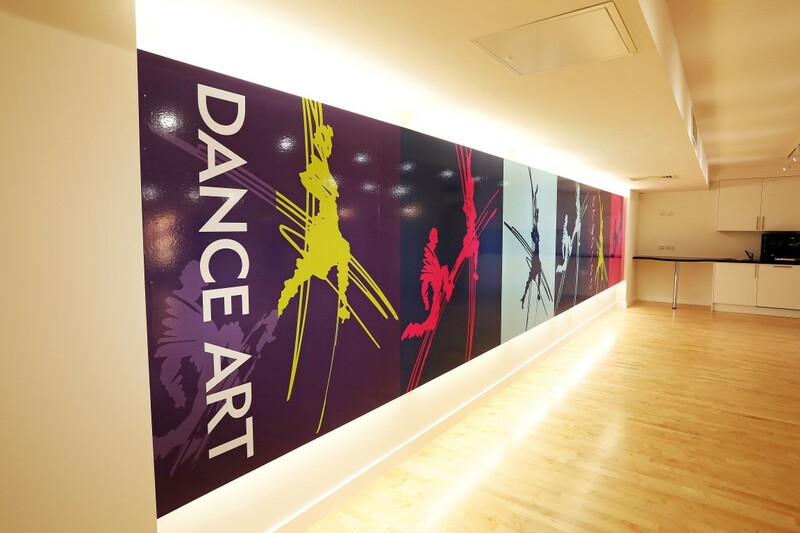 As well as the main dance studio we also refurbished the reception and changing room areas. 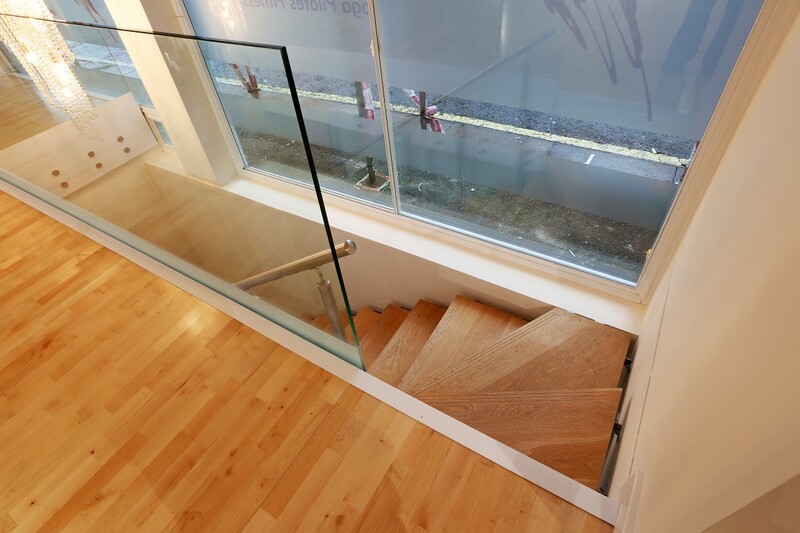 The staircase leading directly from the reception area to the studio was a key feature of the project. 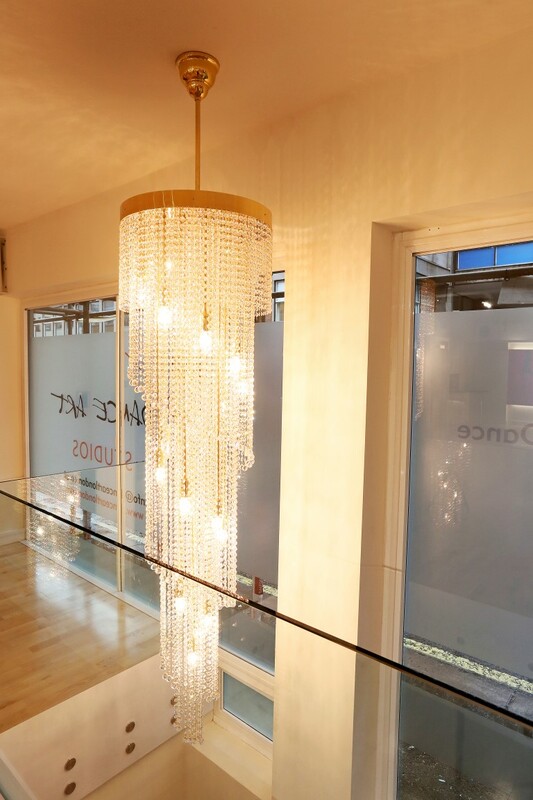 Similar flooring was used for the studio and the stairs while an extra bit of pazazz was added via a chandelier and glass balustrade.